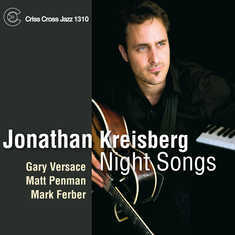 Guitarist Jonathan Kreisberg offers up an intriguing ballad session with Night Songs, his third Criss Cross release since 2004's Nine Stories Wide. The mood is decidely lush and spacious, and features truly unique takes on a range of familiar items as well as less played tunes such as Warm Valley and Nefertiti . 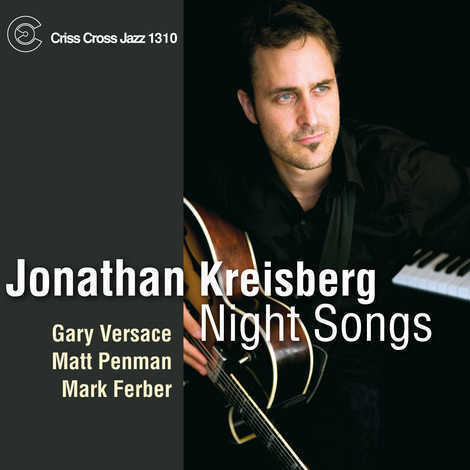 The disc features his current trio with bassist Matt Penman and drummer Mark Ferber, and adds pianist Gary Versace for quartet cuts as well as a haunting duo version of Laura .